SharePoint Sri Lanka Monthly Meeting for September 2016 was held at Microsoft Sri Lanka on 14th September 2016. 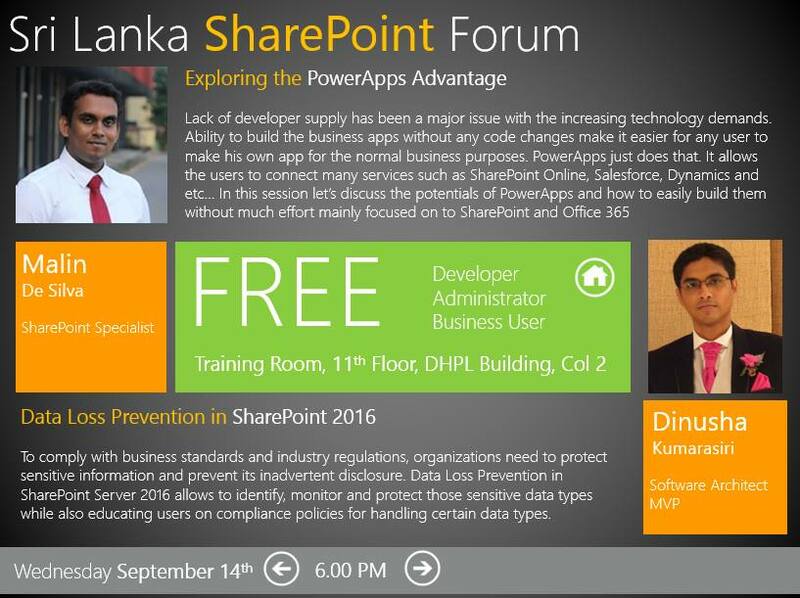 The session was at Level 100 and targeted for the basics on how to build and use PowerApps. The introduction was followed by a couple of demonstrations where the attendees were provided with hands on experience to browse the apps built during the demonstrations. PowerApps looks promising and it may help many organisations largely in future by providing an easy platform for building apps without much code. The ability to connect to multiple services as well as make your own storage through the Microsoft Common Data Model will keep attracting many solutions to be built with PowerApps.